Customizing Your App: Where Do You Draw The Line? Quick, customize before the battery runs out! Customization is a common stumbling block for new and old app developers alike. Grappling with just how much leeway you want to give your users is important for accounts-based mobile and Web apps in particular, because customization is in large part about empowering the user and fostering in her a sense of ownership of her account, while still keeping intact the essence of your app. It’s like giving your customer an array of custom seasonings and utensils with which to tackle the slice of pie you’ve given her. But it’s not without its pitfalls. Make your app ultra-customizable, and you risk overwhelming your users with options, in turn scaring off newbies while simultaneously granting power-users the ability to transform “your” app into something completely unrecognizable, messy and uninviting (in most cases). In either case you lose, since you suffer from lower sales, decreased notoriety and brand dilution. Make your app super locked-down, however, and you risk long-term staleness while also placing an increasingly heavy burden on your support staff, who are pelted with floods of user requests for new features, some of them low-hanging fruit that, if implemented, could painlessly add real value to your software. There are many good suggestions out there, but where do you put your foot down and declare that your product roadmap isn’t entirely up for popular consent? What’s more, how do you efficiently train support staff and even product managers to be efficient judges of requests? In particular, that subtle tax on your employees can lead to internecine warring over the direction of features and UI design – how do you balance all of the new feature possibilities with the profitable (for now) stability of your mostly static feature-set? I’ll provide an example of each extreme. 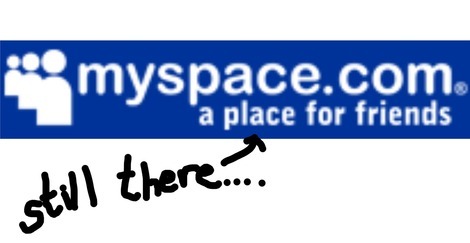 Myspace was a true pioneer, a natural extension of proto-social sites like Free Open Diary and services like ICQ. But it wasn’t a great place to visit – Stewie Griffin was onto something when he said that he had his Myspace “ironically” and used it as a platform with which to express his own individuality through the works of others. 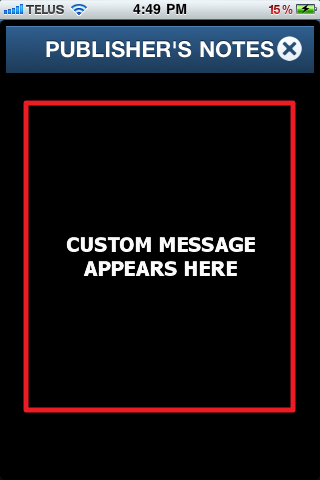 Custom wallpapers, garish color schemes and autoplay nümetal heralded the entry to Myspaceland, effectively scaring off anyone above the age of 15 and ruining the site’ s potential as any sort of universal meeting place. Simply put, it was ugly. But could it have succeeded if it had reigned-in its customization? In Myspace’s case, customization went too far because not only could a user add value or a sense of ownership via their customization, but they could just as easily destroy value by making other parts of the site unusable or obscure. One page had little in common with the next – the idea of a community ceased to exist. Now, it apparently wants to be rebranded as a Spotify killer (Justin Timberlake’s final indignity toward the real Sean Parker?). Spotify is an account-based app that, while catering to individual tastes via its ability to store your playlists, draws a clear line in terms of permissable customization – you can’t really alter the basic experience of the Spotify UI or service, which lets it retain its value as a real service. Myspace seems to have gotten religion about the link between customization, community and accounts. Android gained traction mostly as a free OS for carriers to sell to new and nerdy customers who could be talked down from (potentially) wanting an iPhone, but it also benefitted from its branding as the anti-iOS. It was customizable within each OEM’s bounds and beyond that, rootable for even deeper level manipulation. Early Android hardware was distinguished by removable batteries, QWERTY keyboards in tandem with touchscreens, SD card slots and flashy plastic. The original Droid hardware brand took off, although the platform as a whole suffered setbacks at the hands of the iPhone 4(S), which until recently offered a much better display and a superior overall experience. But Android has experienced something of a Renaissance thanks to two simultaneous phenomena: 1) Google prominently raising the bar with clean, standardized Nexus devices, whose allure rests not only in their unvarnished bloatware-free OS but in the “I don’t need to customize this anymore” mindset that that confers; 2) OEMs like Samsung expropriating the Android experience from Google, skinning it into basically a new OS and then finally linking that new experience to truly transcendent hardware like the Galaxy S3. At the same time, it has benefitted from stagnation in iOS. 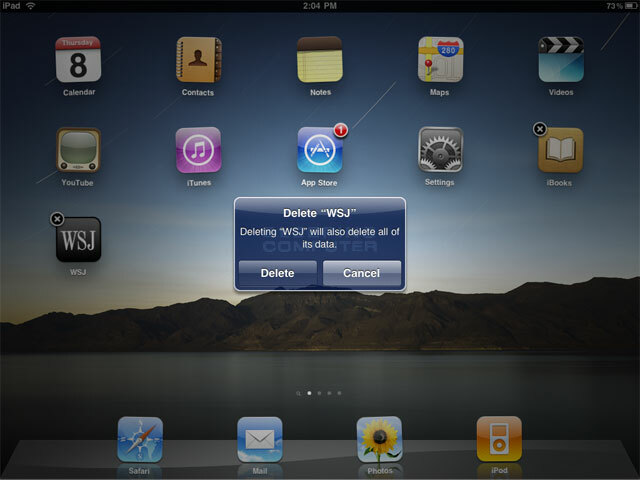 Apple wouldn’t let you uninstall YouTube, so they did it themselves in iOS 6. I admit that I’m stretching things to label both the most successful mobile OS and largest social network as “too” anything (other than “successful,” anyway). But remember that even extremely successful platforms exhibit at their peaks subtle weaknesses that end up costing them when the overall environment deteriorates. Windows’ monstrously buggy, infinitely backward-compatible code would have been apparent even during the halcyon days of Windows 95/98, but it didn’t really matter until Microsoft tried to cram Windows onto mobile devices out of which users had come to expect the clean, fluid and non-legacy feel of iOS and even mature (4.0 and later) Android. -Notification Center can’t show me anything except weather, stocks and discrete pieces of information (much of it spam) from apps. -With everything sandboxed and kept in separate silos, opportunities for forward-looking interapp intelligence (like Google Now) are curtailed from ever gaining traction. Apps can’t work together. -The focus on skeuomorphs, while overstated by the media, nevertheless points to a nearly quaint conception of UI and metaphors. Yet iOS remains enormously successful, and it isn’t hard to figure out why. It is usable out of the box, it thrives on the most popular components of current mobile usage (Web browsing, email, Twitter, Facebook, taking and sharing photos), it removes many of the annoyances (Control Panels, file management) of the PC that is largely replaces and it is, mostly, easy to navigate. Apple has consistently curtailed users’ ability to customize – OS X 10.8 and the slow, troubling rise of the Mac App Store show that even the Mac is becoming more locked down, while iOS has always been a file-agnostic platform containing certain core apps that cannot be uninstalled or toggled-off as defaults. The last point is important. Successful customization is, in part, about the ability to create custom types of value while still being prevented from destroying value. Basically, Apple has stopped certain types of customization because, they’ve decided, those attempts at customization result in a lackluster experience. However, custom wallpapers and the infinite possibilities of the App Store are value-creating custom routes; the latter in particular is the heart and soul of iOS, and unsurprisingly it is tied to an account. Users gladly give their names, email addresses credit card numbers to Apple because they know that their Apple ID is the gateway to a customized (if only slightly) experience that reflects their tastes and aims, yet remains within the familiar and comforting walled garden. Facebook (FB) is another walled garden, the anti-Myspace, in fact. The platform at large is static, uniformly blue. Individual profiles has leeway with photos, status updates and meaningless quotes. There’s also the Pirate Language option. But overall, FB has done well in standardizing users’ experiences. But has it gone too far? Perhaps, if Mark Cuban’s recent words are any indication – the EdgeRank algorithm almost intrusively curates News Feed results, allowing FB to impose an unwieldy price structure on companies seeking to reach customers. The exclusivity of one’s network also prevents any FB user from getting the wider-bore perspective granted by more open platforms like Twitter or even (ahem) Instagram. 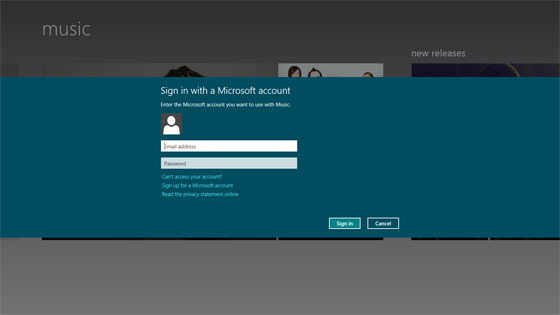 A rare sighting of a Microsoft Account in the wild. Customization in mobile or Web apps is often tied to a user’s account. With some apps, we don’t even think about this link. FB is unusable without an account, as is GMail. But the ability to customize one’s FB profile or GMail background is part of what drives customers to these services, as they feel that the account gives them a real sense of ownership over the service that FB and/or Google is giving them for free. At the same time, the customization permitted never outstrips the core experience of FB or GMail – there’s still a blue banner in FB and the familiar conversation structure in GMail. It’s an astute balancing act that makes both services appealing and successful. By contrast, some apps are eminently usable without accounts, but use their low-lying features to try and drive users toward additional features that are hidden behind the accounts wall. Web browsers are pioneers in this respect. 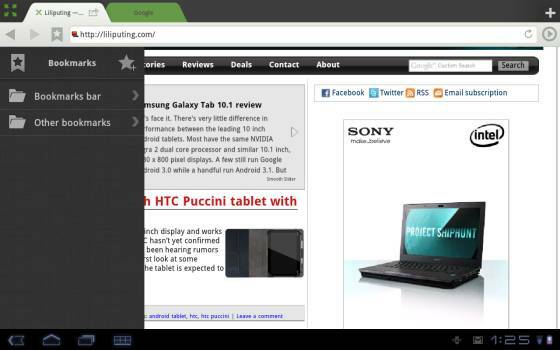 Chrome for desktop and Dolphin for Android are both populated by their own mini app stores, in which you can tack on numerous extensions to simplify tasks like sharing to Twitter or FB or blocking ads. Dolphin also offers a number of neat color schemes, while Chrome has its vast Web Store. All of these add-ons are usable without an account, but they get better with – and drive users to sign up for – accounts. Like the 20+ tabs you have open in Chrome? Sign into Chrome with your Google Account, and you can sync it across all your devices. Dolphin also permits cross-device sync behind its account wall. (Side note here, but Dolphin’s UI is really one of the best around: despite all of these customization possibilities, it hides all of its bookmarks, history and extensions to the left and right of the screen, and you can only see them if you swipe out in the respective direction. It’s a great way of disguising a productivity powerhouse as a lightweight, clean app, and of striking the customization/standardization balance I discussed with FB and Google). Dolphin, gliding and blowholing as usual. It feels like the great leeway that Chrome and Dolphin permit in terms of custom extensions makes the user feel more invested in the app, as if she were a stakeholder. Accordingly, she may be even more willing to linger in the app, open a complex multitab session, and then want to sync that session between her Nexus 7 and Galaxy S3. I’m not sure what to call this quasi-account system, although it does remind me of the freemium model that has made oodles of cash for the likes of Zynga and Pocket Gems. That is, permit a certain level of uninterrupted access (free of account restrictions or, in the case of those games makers, free of having to buy more coins and rubies), but guide the user toward the account that you want them to sign up for, so that you can better understand their habits serve their needs. What better way to build credibility than by letting them have great freedom and ownership at the outset? If you do end up adding accounts to your previously account-free app, it’s best to communicate to the user that the account not only houses a valuable set of services, but that it builds upon the powers that you have already given her in the basic app. What you do not want to do is arbitrarily wall-off features behind the account system without having first built trust and respect with your users – don’t hide something basic like a bookmarks feature, for example, behind an unwieldy accounts wall. Make their signup worth their while, so it will be worth yours, too. Productivity Apps and Customization: The Last Frontier? 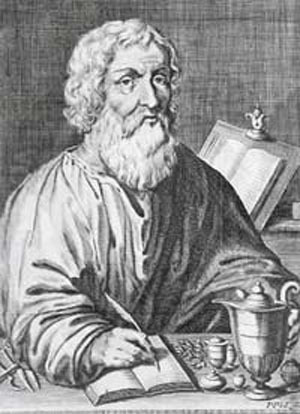 Hippocrates, before or after formulating his “do no harm” oath. Productivity apps in general are one of the last frontiers for this accounts-customization nexus. No one wants to customize Excel or Adobe Reader, you say. No one wanted to customize their browsers in the heyday of Internet Explorer and Netscape Navigator, either. Productivity tools offer some exciting, fertile ground for customization, as the bevy of tools in many of them can be arranged to accommodate a variety of different workflows. The problem is that many productivity apps – I’m looking at you, Word – suffer from the “too much customization” issue, even as they strive to maintain a consistent feel across devices and generations (what is Office if not an attempt to party like it’s 1995?). Users are overwhelmed by feature creep, such that they don’t feel that the app is in any way “theirs,” a reality reinforced by the lack of any real cosmetic customization options (these matter more than you think, as the examples of GMail and Dolphin demonstrate) or a real intuitive “accounts” system that would make them into a real anything-goes-anywhere-anytime powerhouse like Evernote or Dropbox. As someone at ground level of a company that’s trying to make accounts work in a previously local, non-accounts productivity app, I’ve seen both the possibilities and pitfalls that accounts and the customization that attends them can confer. Waiting years to implement an accounts system, and the cloud infrastructure that goes with it, is a hard sell (in terms of message and marketing) to users and a time-sink for engineering resources, especially in a smaller company. My advice: if you want to make accounts and clouds central to your app, built out that structure right away, get your messaging right and get your users on board, too! I recommend this even if you do just plan a light quasi-accounts system like Dolphin has. Everyone wants to hop aboard the cloud/big data/accounts bandwagon, but if you’re going to join them, make sure that you have good engineers who can build a backend that will support your messaging and your product vision. As I mentioned earlier, a key part to building a valuable accounts system is making users trust you, something that even simple customization can instantly foster. Those simple options, if implemented early, make eventual, inevitable conversations about privacy policies, cloud security and data mining much simpler down the road. Ultimately, when building our your app and deciding what levels of customization you want to permit and how you want to manage your accounts system, I think it makes sense to above all do no harm – it worked for Hippocrates, sure, but it also dovetails with what I said about customization and value. Don’t make your app something that can, via excessive customization, destroy its own value and brand. Tie customization into your accounts system to create trust and value. Make your accounts system into something that works for you and for the user – after all, your users are being generous with their time, money and attention, so it makes sense if we return the favor, too.